Nike released a boot collection earlier this month known as the ‘Highlight Pack’ and that is exactly what they are going to do to your game. If you are a boot addict like us, your eyes will double take when they see the Poison Green/Flash Lime/Total Orange Magista Opus. Nike recommends this boot to players who control the game and want to make creative opportunities from anywhere on the field. You will see the likes of this boot on Giovanni dos Santos, Ross Barkley, Jack Wilshere, Robbie Keane, and Sergio Busquets. All of those players have forgone the higher marketed Magista Obra with the Dynamic Fit collar for the more traditional Kanga-lite Opus. The Magista Obra also has a lighter weight Flyknit upper that we’ll explore later. 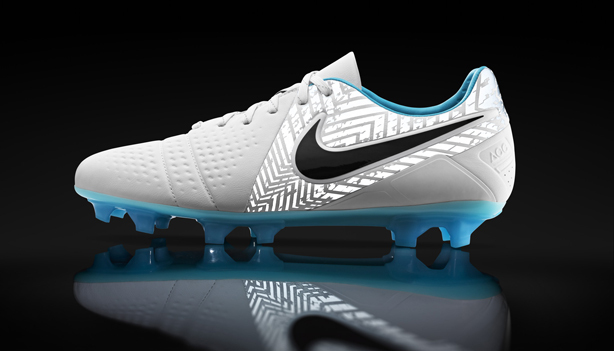 Nike’s Kanga-Lite upper that is featured on the Magista Opus is a synthetic alternate to traditional Kangaroo leather. 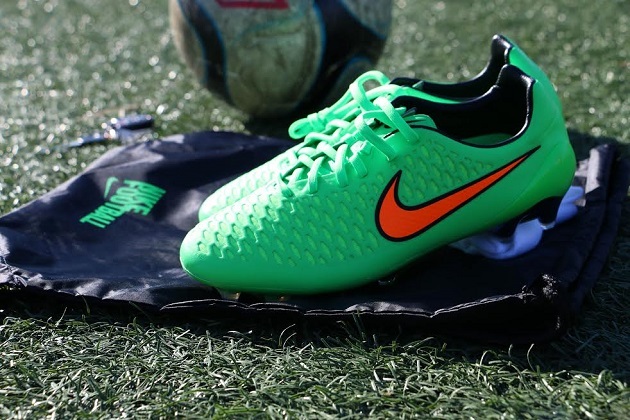 Kanga-Lite has been used in many professional level boots by Nike, including the Opus’ predecessor, the CTR360. 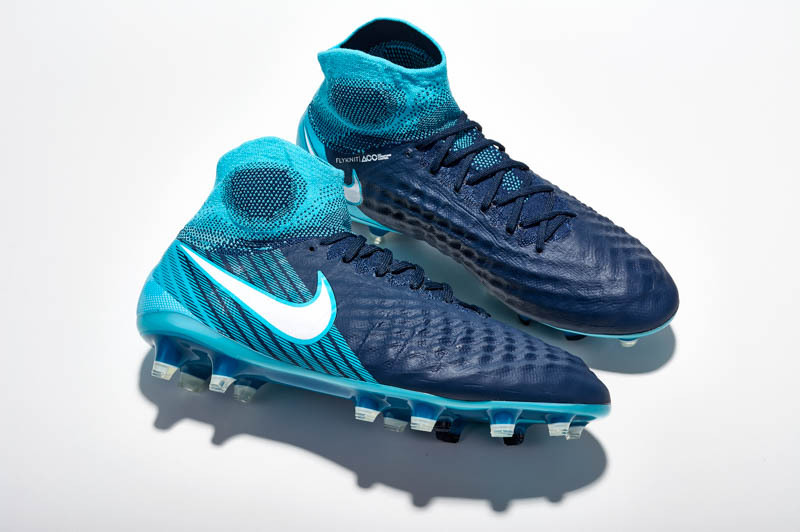 With All Conditional Control technology applied to the boots, Nike has combined a treatment with texture to create one of the finest boots on the market. 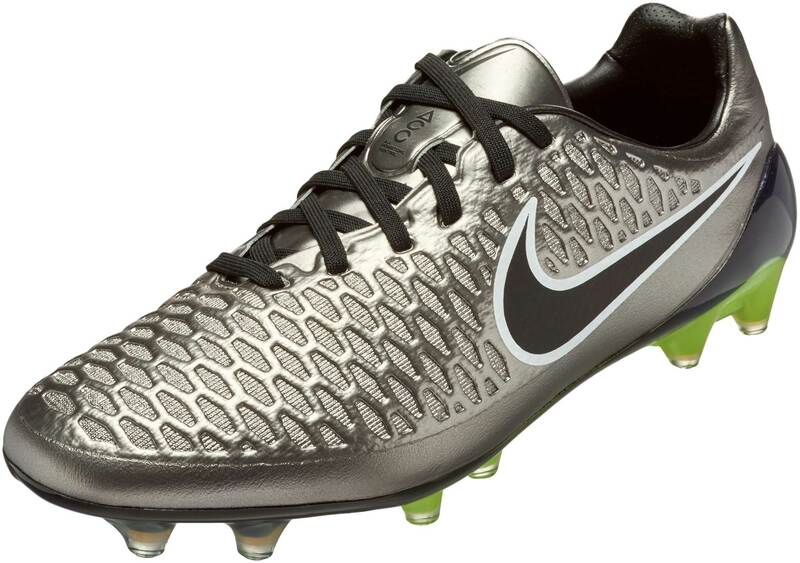 The design elements from the CTR360 are fairly familiar with the Opus. Instead of a golf ball-like dimpled Kanga-Lite upper, Nike utilized a textured honeycomb pattern with an under layer of Nikeskin. The aesthetic aspect of the honeycomb Kanga-lite upper is very pleasing. It will be interesting to see what future designs Nike plans to do with the under laying Nikeskin on future Obra/Opus colorways. 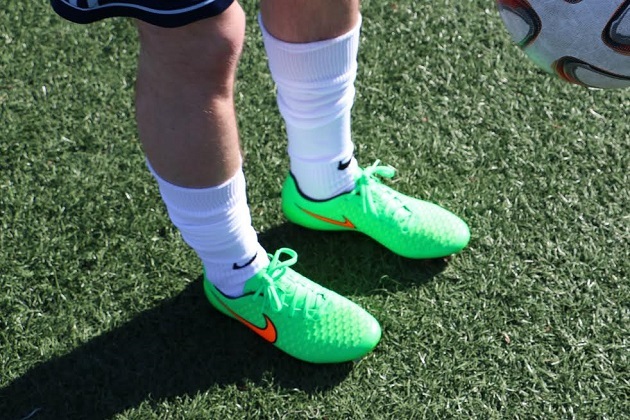 The Magista Opus’ textured Kanga-Lite patterns were fantastic to play with when I first took the books out to the field. Working on set pieces and crosses, I could feel the boots adding additional rotation on the ball compared to my traditional kangaroo leather Tiempo Legend V’s. My first experience with Kanga-Lite was in small-sided games with the Bomba Finale. I fell in love with that turf boot in 2010 and continue to use it indoors today. The first touch that they were able to give small-sided players was key to winning them over. 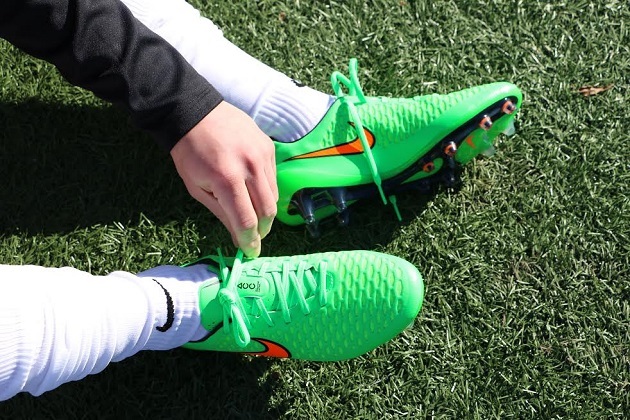 Like indoors, the Kanga-Lite material gives the Magista Opus close control. Playing smaller sided games in training outdoors or dribbling at pace, you will feel the ball almost glue itself to the boots at times. 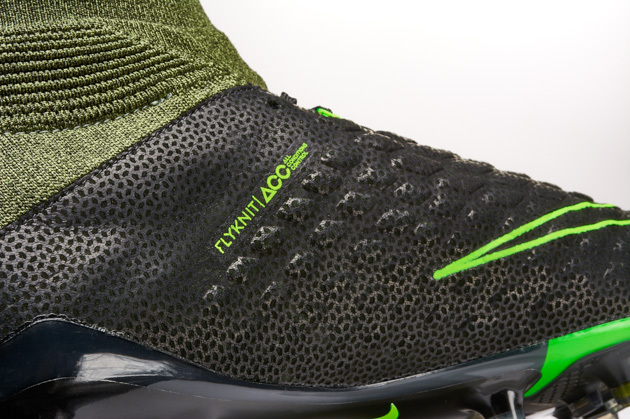 The touch of the Magista Opus’ Kanga-Lite upper is soft and true despite being tested in winter conditions. After cold training sessions, I had a hard time feeling my hands, although I had no problem moving my warm toes inside the boots. Some synthetic boots are made of a thin one piece plastic upper that allows the conditions to overtake the situation. However, the subtly thin Nikeskin keeps the foot snug and protected from environmental elements. This is an issue I have with the Magista Obra. One of the benefits of the Obra (7.2oz.) over the Opus (8oz.) is the lightweight Flyknit upper. That may feel nice during the hot days of summer, but I can only imagine it would be painfully freezing in rain or snow. 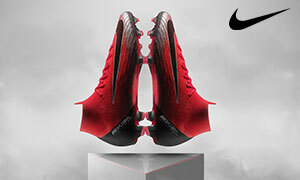 Nike chose a conical stud shape for the sole of the boot. They are supplemented with two blades through the forefoot and a smaller blade near the toe of the boot. The conical shapes of the studs are great for pivoting and seemed to dig deeper into the surface while maintaining balance in a turn of direction. The smaller toe blade was subtle in use. It did not seem to be effective or ineffective. My only issue with the Magista Opus was the heel cup. The fit was snug and secure, but the weight was off-putting until the third hour of wear. When you look at the shoe, you notice that the heel cup does have some junk in its trunk. 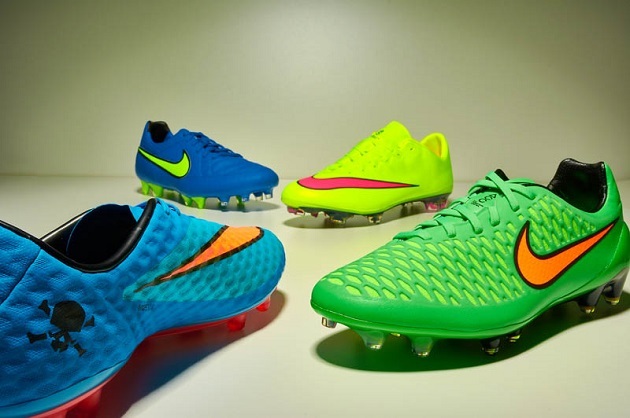 That is something I will be watching to see if Nike eliminates in their next Magista generation. The Opus does run with a very molded feel. I had to let out the mid laces to get the boot on. If the laces feel too tight or too loose in the first fitting, make sure that you adjust them accordingly. For someone who needs a wider fit shoe, Nike may not be the brand for you. If you are familiar with the fitting of Nike’s boots you are going to be just fine. I felt at home in these boots, as I do in the Tiempo & Mercurial Vapor lines. No blisters, no breaking them in; I just played. If you are a serious player, looking for a serious boot, Nike’s Magista Opus is not a boot to pass over. You may not have heard much about Nike’s secondary line to the Magista Obra, but the Opus is a great boot for developing players and one that is making people notice on the field. We’ve now purchased 2 pair of Nike cleats (one Tiempo made of Kamgaroo leather, one new pair of Magisto green with orange swoosh) and both fell apart! Just took the 2nd pair back due to the upper coming apart again from the sole. Unbelievable this company is getting away with marketing to our young players wanting their product but they’re making garbage. Nike is not standing behind their product and I know why. They’re not standing up to normal play. It’s leaving the door open for companies like Adidas to swoop in and make a great looking boot that actually does what it should; hold up for at least 3 months!